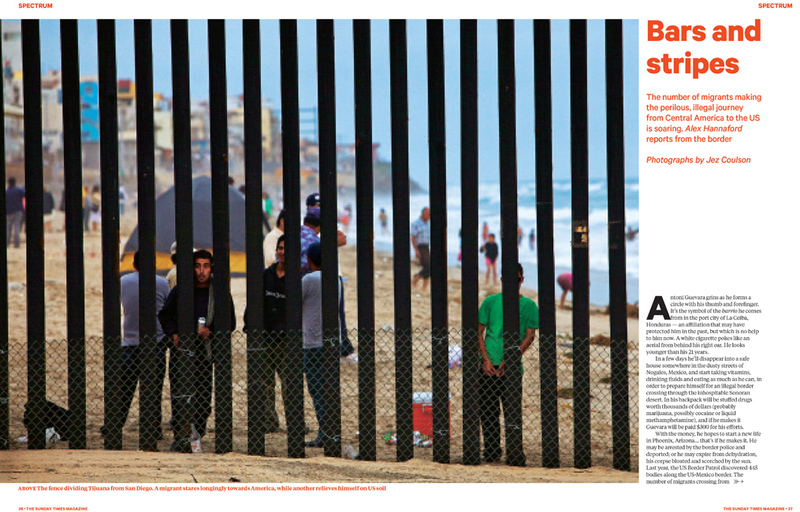 Here is the opening spread of a feature story I have in todays Sunday Times Magazine about migrants illegally crossing from Mexico into the USA. 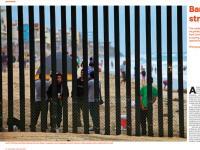 I was recently down on the border with the writer Alex Hannaford. It was very moving for us to be with the so called 'migrants', to talk with the people actually making these dangerous journeys. We talked about the hopes and the fears that drove them to attempt the seriously frightening desert crossings into Arizona. Primarily it was always the fear of the violence and poverty back home and the sincere hopes and dreams of a better life in America that drove them, We were constantly hearing about the desperate combination of both fear and hope that leads individuals from many Central and South American countries to risk everything, to give up their family, their friends and homeland then travel all the way up the continent and attempt to make the dreaded border crossing to "The North".